February 23-March 2nd. Nassau, Bahamas. 7 day Steampunk themed cruise onboard the Royal Caribbean. 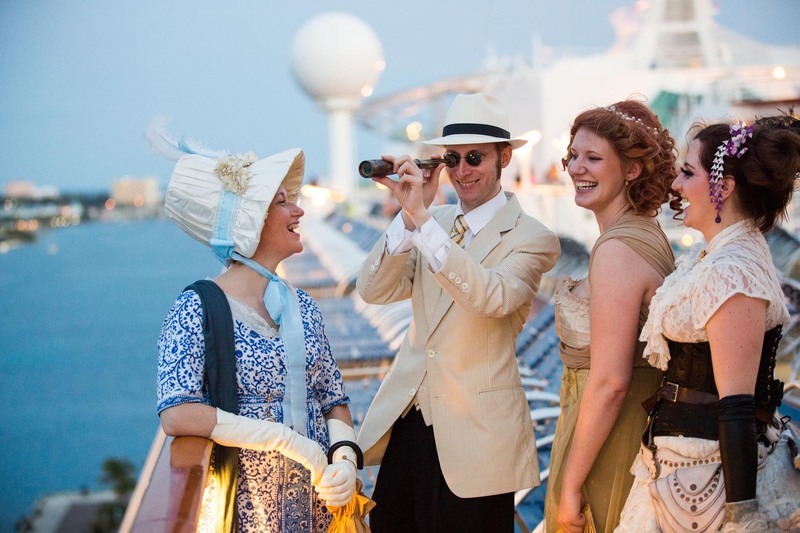 Here, Steampunkers on top deck of the ship. Piotr Redlinski for The New York Times.